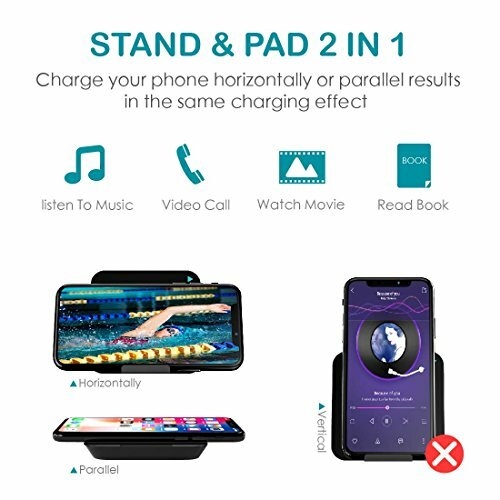 2 IN 1 WIRELESS CHARGER PAD STAND - The holder can be hidden,so the wireless charger could work as a charging stand, also could work as a wireless charging pad.You can charge your cell phone horizontally or parallel.PLEASE Note:You CAN NOT charge your cell phone vertically When work as charging stand. 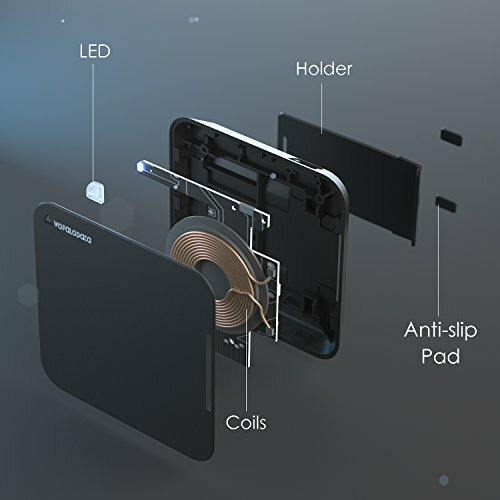 ENJOY WIDE COMPATIBILITY - The Wireless charging stand and pad works with almost all QI-Enabled devices.Fast charge mode widely supports models including Galaxy Note 8, S8, S8 Plus, S7, S7 Edge,S6,S6 Edge Plus, Note 5.PLEASE NOTE General charge mode supports most Qi-enabled devices including newest iPhone 10/X, iPhone 8, iPhone 8 Plus,Nokia Lumia 820/830/920/930/1020/1050/1520,LG G2/G3/G10,Google Nexus 4/5/6 and others. 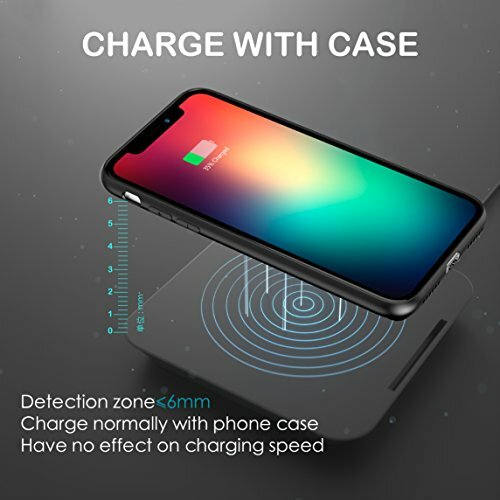 EASY TO CARRY/MINI PORTABLE DESIGN - Portable pocket size mini wireless charger,easy ot carry it to travel with you.What you get - 1 x Wofalodata fast wireless charger,1 x Mirco USB Cable (2ft).Wofalodata fast wireless charger worry-free 6-month warranty and friendly customer service. 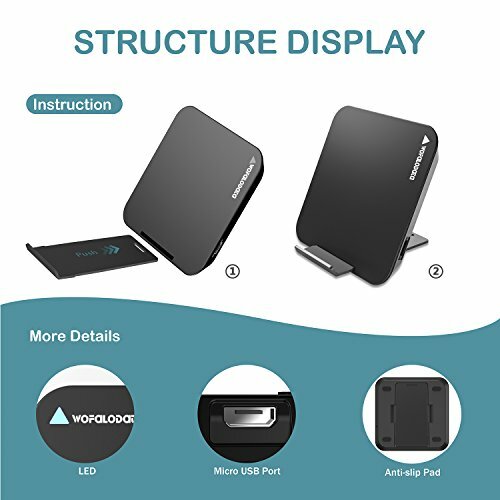 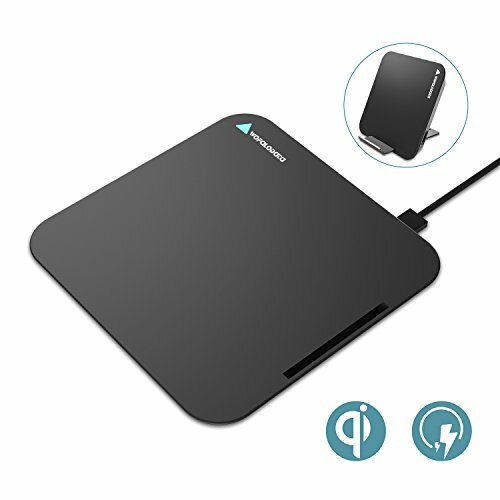 Wofalodata 2 in 1 Wireless Charger Pad andamp; Stand (Black), Perfect design for Samsung and iphone,is a universal one which can be compatible with all Qi devices.Support Quick Charge 10W models including :Samsung Galaxy Note 8, S8, S8 Plus, S7, S7 Edge, S6 Edge Plus, Note 5.Support Standard Charge 5W models including :iPhone x,iPhone 8/8 Plus,Nokia Lumia 820/830/920/930/1020/1050/1520,LG G2/G3/G10,Google Nexus 4/5/6 and others.Specification Material:ABS Metallic Paint + UVEnergy Conversion Efficiency:75%-85%Effective charging distance:2~6(mm)Size:L85 X W85 X H11 (mm)Certification:QI, CE, ROHS, FCC Compatible with All QI-Enabled DevicesWhat you get : 1 x Wofalodata fast wireless charger,1 x Mirco USB Cable (2ft)TIPS:*1. 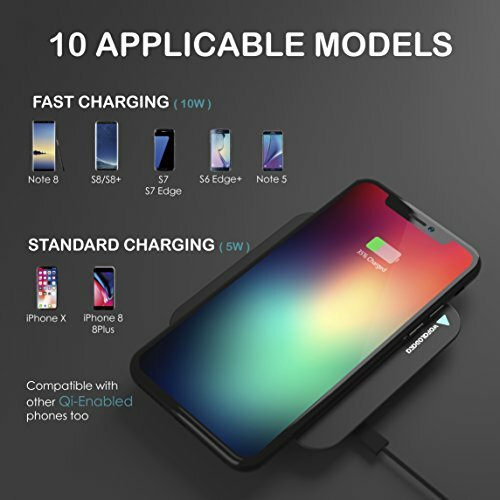 If you charge your phone with your case,please make sure case thickness don't cover 6mm,Otherwise it can't charge your phone.*2. 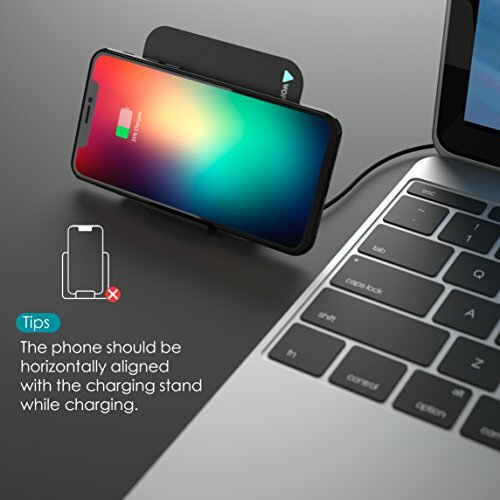 You CAN NOT charge your cell phone vertically when works as charging stand.